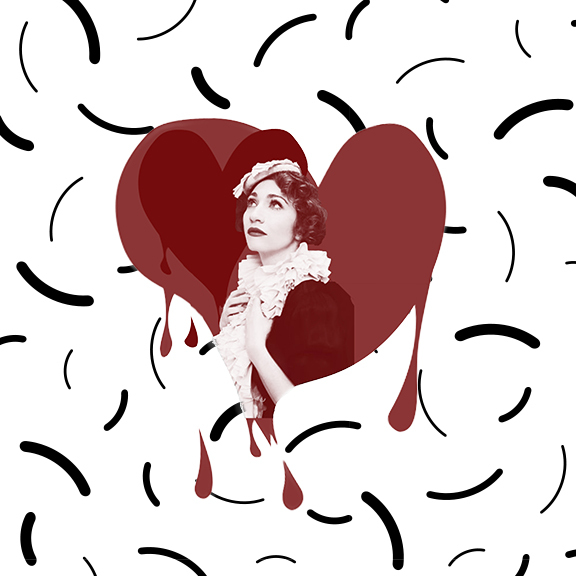 Regina Spektor soars in her first album in four years, Remember Us To Life. She gives her anxious listeners everything we’ve been missing since her last release: her signature counter-intuitive chord changes, daring technical choices that only she can pull off, and, lucky us, two bonus tracks for our listening pleasure. This fourteen track LP opens with “Bleeding Heart:” a paradoxical crescendo of percussive, electronic synths paired with pianos and heartfelt lyrics next to catchy, repetitive hooks. The listener is drawn into the record immediately with no instrumental introductions or time to breathe. The beginning lyrics “What you got on tap? / I’ll take two of that” are the first punch. And just when Spektor thinks we’re not paying attention, she hits us with an unplugged, vulnerable verse, reminiscent of “Samson” from her 2002 release, Songs. But this is short lived: a climactic, fast-paced chorus following the sentimental lull, sandwiched by another reflective, minimal bridge of just Spektor and keys. Remember Us To Life features songs that barely remind us of the Regina Spektor we knew just four years ago: “Small Bill$,” with its rap-like verses and ethereal, echoey choruses not unlike M.I.A. and Lorde, is an entrancing and unpredictable track. Spektor paints a portrait of a man unfit to manage his money, explaining that “by the time he'd try to buy the things he needed / he had spent it all on loosies and weed.” Easily the most haunting, eerie track on the album, we are introduced to what sounds like a Regina Spektor alter-ego of sorts, impressive given the already abstract nature of much of her music. That being said, there are a few tunes that have familiar elements to them; piano, vulnerable, vocals, and quirky, heartfelt lyrics all make appearances in the album. One of them is “Grand Hotel,” where we are taken on a virtual tour of the staff, landscapes, and hidden worlds within a hotel. This heartfelt song features simple, beautiful, unfiltered Spektor, and some keys and strings. Reminiscent of a fairy tale or nursery rhyme, “Grand Hotel” sticks to a predictable structure and rhyme scheme. “The Visit” another piano ballad, surprises us with the unsettled, fluctuating time signature in its opening. Likewise, “New Year,” one of the bonus tracks, might seem like a tune we had heard once before, with lyrics that introduce us to one of Spektor’s many fictional characters living within the universe of her music. But an inconsistent, almost nonexistent rhyme scheme surprises us yet again. Long story short, Regina Spektor left this listener satisfied in Remember Us to Life. This record has a track for every music lover, every mood, and every moment. It challenges fans and invites new ones in with its strides in style and genre, fearlessly approaching the world of pop and indie-electronic. Despite the album’s risks, it doesn’t sound like a new artist altogether, which has got to be intentional. With an international tour around the corner and a handful of music award nominations, something Regina Spektor is doing is so damn right. And if it ain’t broke, don’t fix it.